Why Do We Continue To Be Surprised By Gentrification? Part of what many people find so irritating—or dangerous, depending on how much you have at stake—about upwardly mobile young people moving to working-class city neighborhoods is the sense of frivolity, of flightiness, they carry with them. In this story, communities, social networks built over generations, give way to trend-chasing bars and twentysomethings who move on after a few years of renting, passing from neighborhood to neighborhood (and maybe out of the city entirely) with each new life event: a 9-to-5 job, marriage, kids. In the last few years, commentators increasingly have suggested that perhaps the entire “return to the city” trend was nothing more than a temporary millennial whim. Richard Florida’s Rise of the Creative Class in 2002 and Leigh Gallagher’s The End of the Suburbs in 2013 bookend, in some ways, the cultural consensus that this was a permanent shift of younger, higher-earning people towards urban cores. Since then, a bevy of contrarian takes have assured us that the “urban revival” is a myth, that millennials prefer the suburbs, that, if anything, they were biding their time renting in cities, waiting for the economy to recover so they could buy houses in new subdivisions. But here is the rub: He said this in 1969. Since last spring, I have been poring over old newspaper and magazine articles, academic studies, letters, and personal interviews related to gentrification on Chicago’s North Side for a book on the history of Lincoln Park, arguably the first neighborhood in the city to undergo that transformation. Along the way, I’ve been struck by the Groundhog Day quality of thinking on these changes. Decade after decade, observers alternately wonder at the latest clique of young, middle-class white people to have chosen to live in a less privileged urban neighborhood, and then predict that clique’s imminent demise, a return to the “natural” order of things. The answer to the first question surely has something to do with the strong American cultural bias that the natural habitat of the middle-class (usually white) person is a suburban single-family home. But it’s not just culture. In the twentieth century, American cities were dominated by a narrative of decline in large part because they were actually beset by serious economic decline. This narrative—and reality—lasted so long that many people took it to be simply how things were: American cities were poor, often victimized by racist stigma, and suburbs were rich and racially privileged. This narrative overshadowed the fact that, in cities like Chicago, there was already a growing number of middle class whites in core neighborhoods by the mid-1900s. 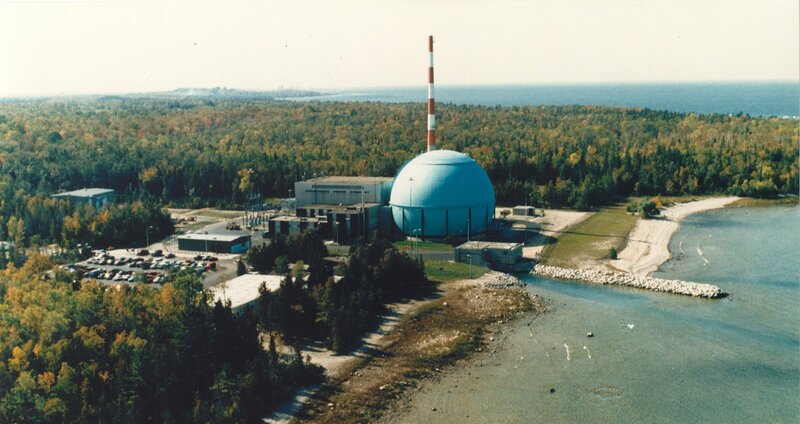 But it also mistook three temporary shocks to urban wealth as permanent. First was the invention of the automobile, which made it possible for people to spread out, no longer chained to the rail lines that would take them to work. Of course, cars were only useful to the extent that governments built new, wider roads and highways for them to drive on. But a historically unprecedented public construction spree provided just such a network, and ensured that middle-class people could occupy far more land at the very edge of metropolitan areas than they ever had before, abandoning more central neighborhoods in the process. Second, in older midwestern and northeastern cities, urban neighborhoods that had sprung up overnight as part of nineteenth or early twentieth century boomtowns found all of their buildings aging into decrepitude at the same time. Their run-down conditions only made the brand-new homes built in automobile suburbs all the more appealing. What’s more, both city and federal governments reacted to the problem of aging neighborhoods by encouraging more investment elsewhere, and sometimes demolishing the older buildings outright, scattering established communities. Finally, whites reacted to the Great Migration of black southerners to northern cities with waves of panic, violence, abandonment, and exploitation. The result was that many white neighborhoods essentially saw their entire populations leave in a matter of years, pulling out all their investments and leaving segregated black residents vulnerable to grifting by landlords, real estate salesmen, and the government. But it turns out these trends are not necessarily permanent. Driving doesn’t look as good when everyone else is doing it, clogging up your streets and highways. Once-new suburbs also aged into obsolescence, and new subdivisions aren’t as attractive when the only open land left is an hour and a half from the city. And the end of the Great Migration and the brutal effectiveness of northern segregation meant that racist stigma could be confined to certain parts of core cities, allowing middle-class whites to feel more comfortable in their own urban neighborhoods. As these forces wane in influence, others become more powerful. Consider the fact that people like short commutes, and living close to the things they like to do outside of work as well. 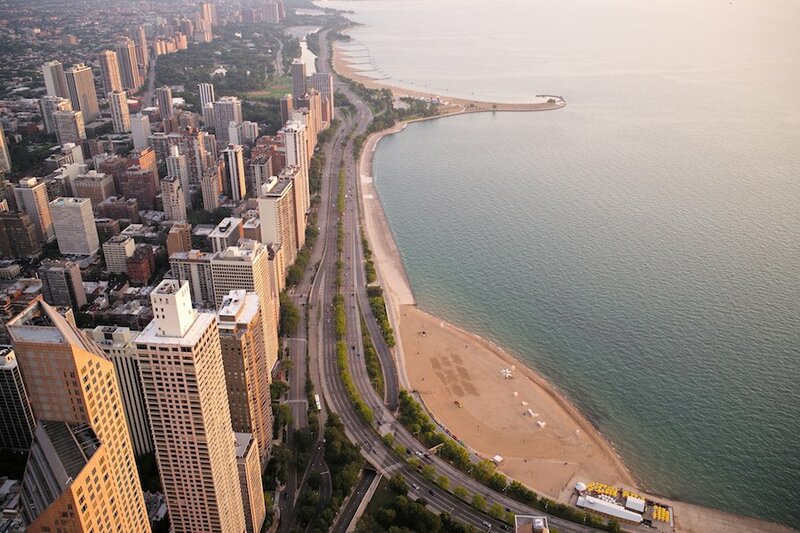 In cities whose downtowns are still major job centers, have legacy cultural amenities, and special recreation areas—like, say, a lakefront park—this means that many people will like to live as close as practical to downtown. And when much of the rest of the city is victimized by racial and economic exploitation, they will cleave as closely as possible to the neighborhoods whose privileged residents are exempted from this burden. This is what happened in Old Town and Lincoln Park starting in the 1930s and ’40s: looking for short commutes and richer cultural lives, middle-class whites who couldn’t afford to live in the wealthy Gold Coast neighborhood next to downtown moved a few blocks away to Old Town, where they bought old homes to fix up. As more of them arrived, the newcomers formed a tight, growing circle, moving outwards from “rehabbed” blocks only when all the homes had been purchased or rented by wealthier people they couldn’t outbid. At first, observers measured this movement in blocks: first Larrabee Street, then two blocks farther to Halsted, then to Sheffield. But at some point, as the rate of growth increased, it came to be measured in neighborhoods: Lakeview, then over the river to Wicker Park, then up the Blue Line to Logan Square. Some of these newcomers did indeed later return to the suburbs when they had children, but there were always new young middle-class people to replace them—more and more of them, in fact, as businesses and jobs arrived in the city to cater to those who had come before, making it more attractive to those who had not yet arrived. And a growing number of these newcomers began to work on reshaping their neighborhoods so they wouldn’t have to leave when they reached middle age. Sixty years after Lincoln Park became a hip young person’s neighborhood, much of it is now occupied by affluent families with children. Which brings us to an irony: part of the disbelief that the inversion—or reversion—of affluent suburbanites towards the inner city could be permanent is that many of the gentrifiers don’t want it to be permanent. By the 1970s, Chicagoans began to speak of “Old Town syndrome,” meaning that the area had become so saturated with white, middle-class newcomers that it was no longer so different, culturally, from the suburbs Old Towners had rejected. Of course, rents did price out the diversity of the neighborhood: The proportion of Lincoln Parkers who are black or Latinx has fallen by nearly half since 1970, while household incomes are now nearly twice the citywide median. And while some people who could afford the area choose longer commutes in more diverse neighborhoods closer to the edge of the gentrification frontier, it turns out there are enough people who are eager to live in what Lincoln Park has become to keep it one of the most expensive parts of the region. Nearly a century after Harvey Zorbaugh predicted the end of the Gold Coast, it is time to stop being surprised by gentrification, and to stop expecting it to just go away. Rather, we should recognize that the decades-long bifurcation of American metropolitan areas has been always fundamentally about demographic divides—race and class—rather than geographic ones between cities and suburbs. It’s now clear that rapid investment can happen in a new subdivision, encouraging white flight, or in an established urban neighborhood, displacing older residents; extreme disinvestment can take place in a post-industrial urban center or a post-war suburb. 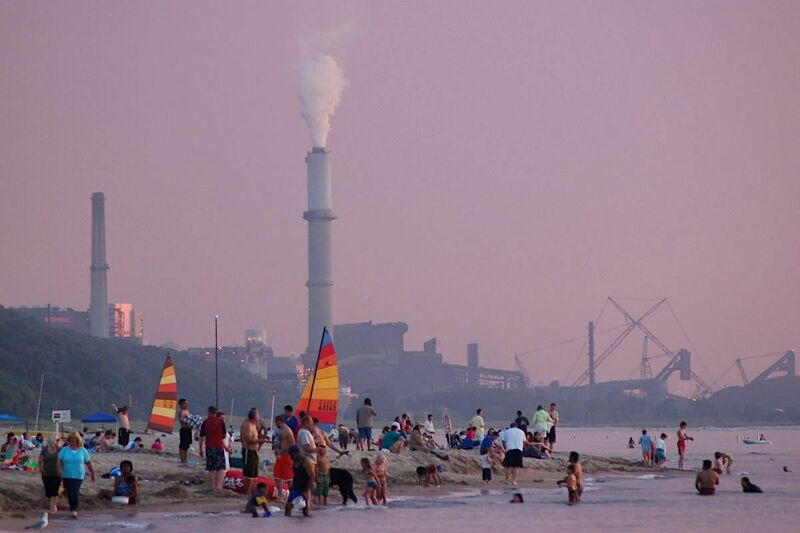 Regardless of the location, both rapid investment and disinvestment represent the same forces of inequality and power. It is those forces we need to contend with to build more just cities. 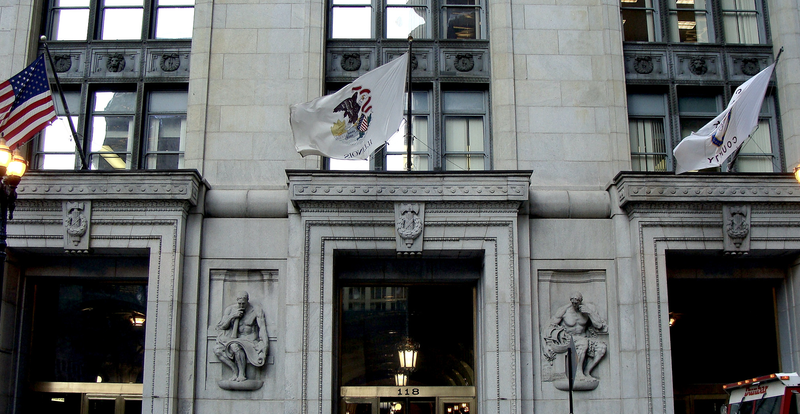 Support for this article was provided by Rise Local, a project of New America Chicago. 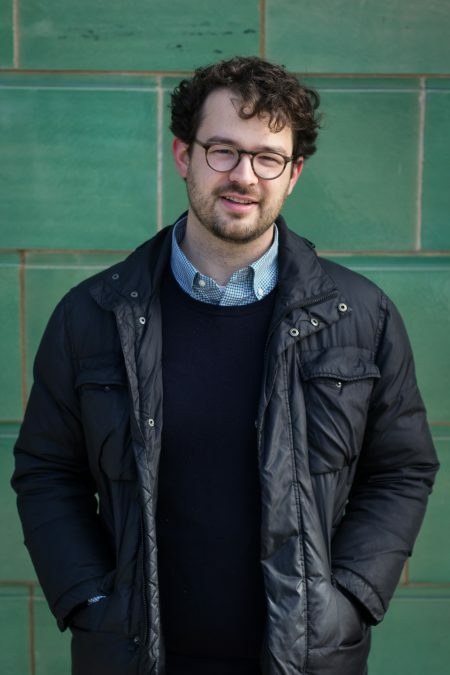 Daniel Kay Hertz has written about urban issues for a number of outlets, including City Observatory, The Atlantic, Chicago Magazine, South Side Weekly, and the Chicago Reader. He lives in Chicago. 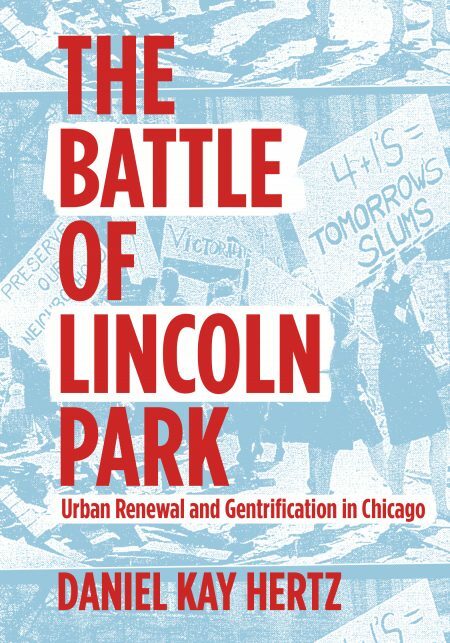 His first book, The Battle of Lincoln Park: Urban Renewal and Gentrification in Chicago, will be published by Belt Publishing in October 2018. It’s an interesting theory. I am curious though because in my years of discussing this most recent “renewal” I very, very rarely find anyone currently residing in these cities that actually grew up in an urban area and more specifically went to high school in a large urban public school. Were there any/many middle-class public high schools in large midwestern cities in the 90’s? Especially outside of a handful of Chicago neighborhoods. Or even today? And if so, have those cities retained the students that eventually graduated from college? You nailed it, Daniel. I moved to Chicago in 1980. Everyone I knew said “don’t live west of Halsted”. At that time, the term “Yuppie” had just been coined to describe the latest wave of affluent newcomers to the city. The prevailing wisdom was that once they reached child-bearing age, they would head out to the suburbs. That obviously didn’t happen. While gentrification’s displacement of the poor is problematic, my hope is that with a stronger tax base by way of those gentrifiers, cities will ultimately have the financial means to properly serve everyone across all economic strata. Gentrification may be viewed as a negative, but it sure beats the 1960’s and ’70’s when the survival of major cities was in question (e.g., New York City’s bankruptcy). I’d just contribute two points to this. 1) white suburbanization was not accidental. Three things happened in the 1950s that made it almost inevitable – the national highway bill which created the highway system that allowed many factories to move out of cities – and their btter paid skilled workers to follow (see Los Angeles, Detroit and elsewhere). This was joined by a building boom in the suburbs and former green fields that built upon cheap gi bill loans and in the post-second world war period created a huge shift , particularly among WWII veterans, from renter to suburban home owner. One catch, African-Americans, many of whom had gotten well-paying jobs during the war, were excluded from suburban living and home ownership by restrictive covenants in the suburbs and by biased federal policy on loans in the city (Read Richard Rothstein’s brilliant and thorough Color of Law) . the result was that while chicago was luckier than most, in most urban areas – Detroit, Cleveland, Newark, Gary, etc., predominantly African-Americans were left holding the bag after the employers and hundreds of thousands of their white employees left (see my article or others on Detroit)…. While I am a city dweller who went to a public highschool and have always lived in cities (Chicago and others) I do see a trend both among those coming back and my employees who even with children seem inclined to stay. The suburban driving lifestyle i believe is a relic of the 50s and 60s before the majority of women worked (or better put before it required two salaries to support a household). What the future brings is hard to say. I’d bet on urbanization BUT ONLY if housing stays affordable, the economy grows so that taxes don’t kill us all and schools continue to improve. Cities have endured for thousands of years -as their very diversity allows them to change with the time…..an advantage that suburbs never have or will have.